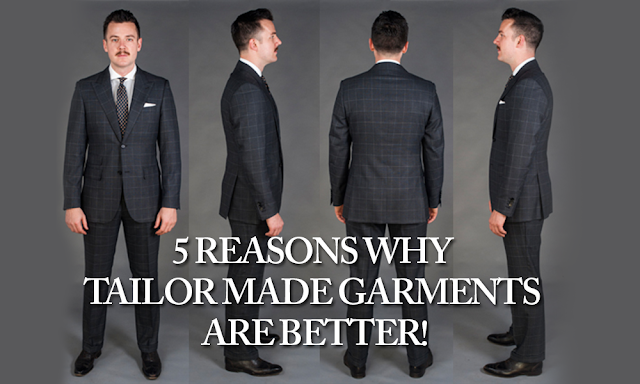 5 Reasons Why Tailor Made Garments Are Better! There seems to be great curiosity towards ready made clothing; though often times people think about tailor made clothes as pricey and over indulgent. This is a shame, because because armed with the correct advice, making the most of a made-to-measure service can not only save money, but also allow us to enjoy the skill and craftsmanship involved in a process often solely reserved for a price range that is out of reach. Simply know your limitations and never be afraid to ask for help. Even if fashion is nothing more than a practical notion, having clothing specifically cut to flatter your body can be a unique experience in learning about your own taste and style. Buying a ready made clothing surely has advantages, like being readily available whenever you require them; but often times you can't get the same level of quality that you'll get from professional tailors. This is in consideration of factors like fit, size, design, fabric, and color. As mentioned above, tailors take your personal measurements which in turn would guarantee that you get perfectly fitting clothes all the time. Tailor made clothing also flaunts your physique better as these clothes are made specifically for your body type. Ready made clothes are readily available, the downside is that they are mass produced, and usually comes in batches. This is where tailor made clothing shines; with tailors, you can tell them your style preference and preferred fabric type. This freedom and flexibility gives you both comfort and style at the same time. As mentioned above you can request your own design, style, and preference to tailors. You can always customize the clothes you want to be made, which gives you a unique and one of a kind dress or clothing. This is specifically applicable to men who're searching for suits. It is impossible to find ready-made suits with the right combination of fabric, design, and color. 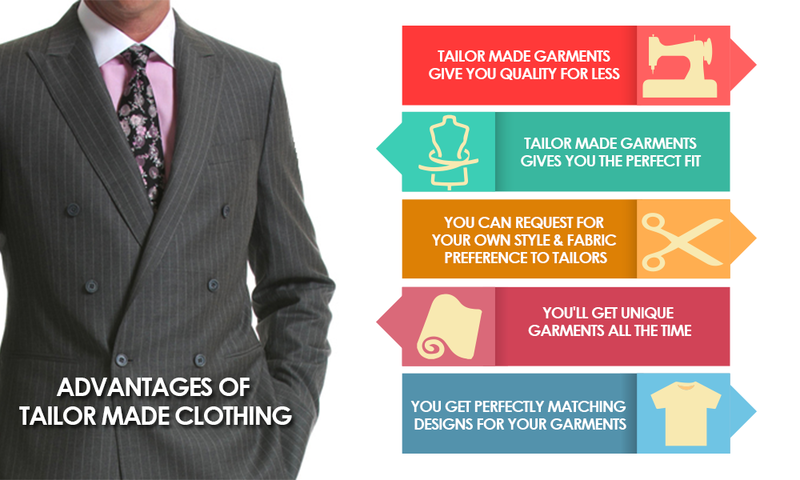 With tailor made suits, you can ensure that the fit, fabric, design, and color would always fit your preference. There are a lot of professional tailors all over UAE, they may copy styles that you've seen elsewhere, or totally make something new out of your preferred style and design. The disadvantage with tailor made clothes is that you have to give ample time for your garment to be ready. Here's an inforgraphic that you can keep handy.